Hey there! I’m Amanda Morrison, co-owner and designer for Honey, Bunny, and Doll. 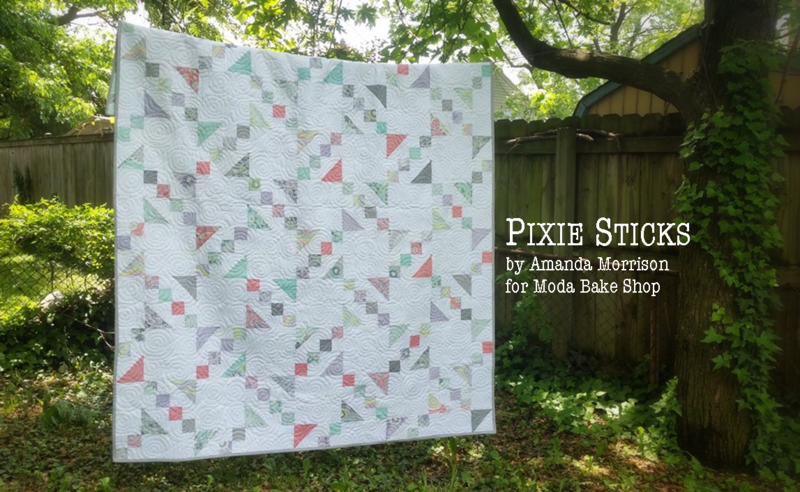 This is my first quilt for Moda Bake Shop and I am excited to share my Pixie Sticks quilt with you! 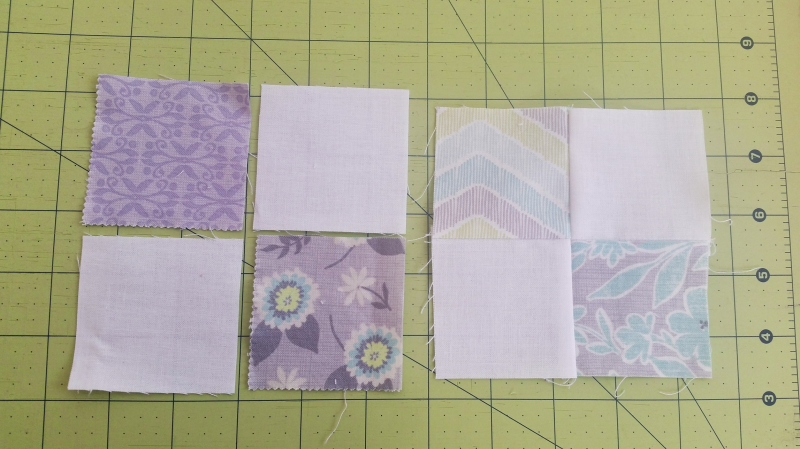 Start by cutting 160 white 2 1/2″ squares and 160 white 4 1/2″ squares from your Bella Solid yardage and set aside. Use your first True Luck Charm Pack to cut 40 charm squares into 160 2 1/2″ squares. 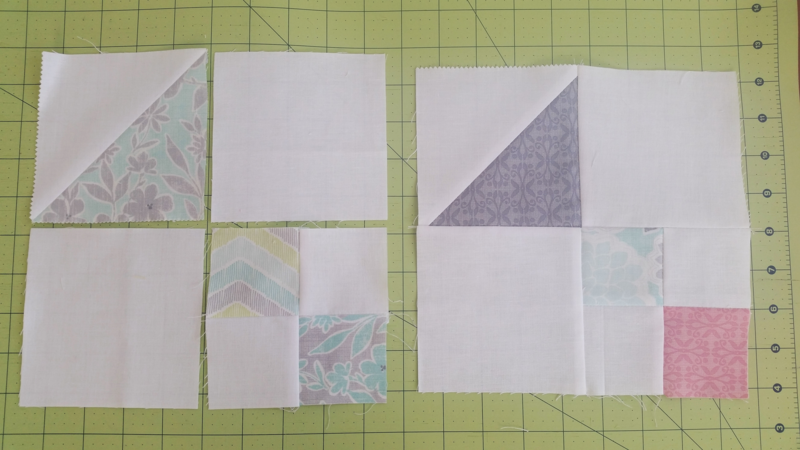 Use 2 of the True Luck 2 1/2″ squares and 2 white 2 1/2″ squares to create four patches as pictured below. Make 80 four patches and set aside until you are ready to assemble the blocks. Next, use a ruler and pen to draw diagonal lines on 40 of the white Bella Solids charm squares. Pair a white charm square with a square from your second True Luck Charm Pack and stack right sides together. 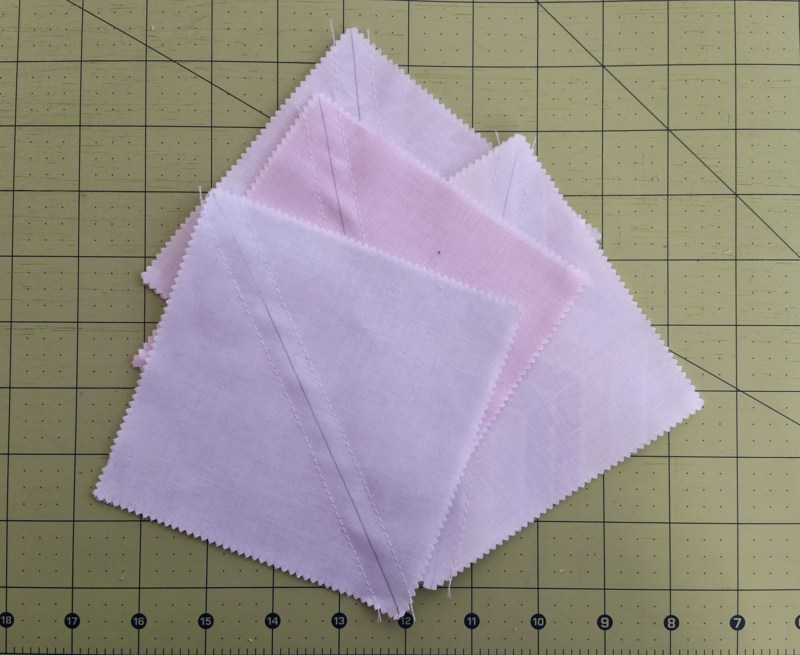 Sew 1/4″ to either side of the drawn line. 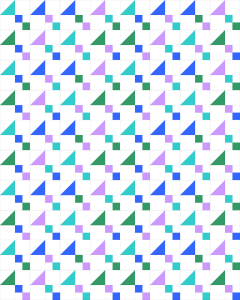 Now cut along the drawn line to create 80 half square triangles. 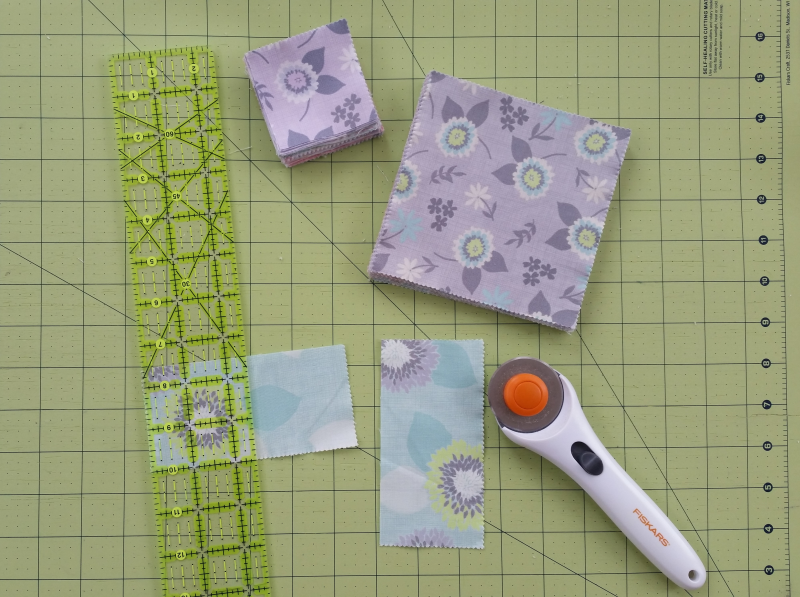 Press open and trim each to 4 1/2″ square. 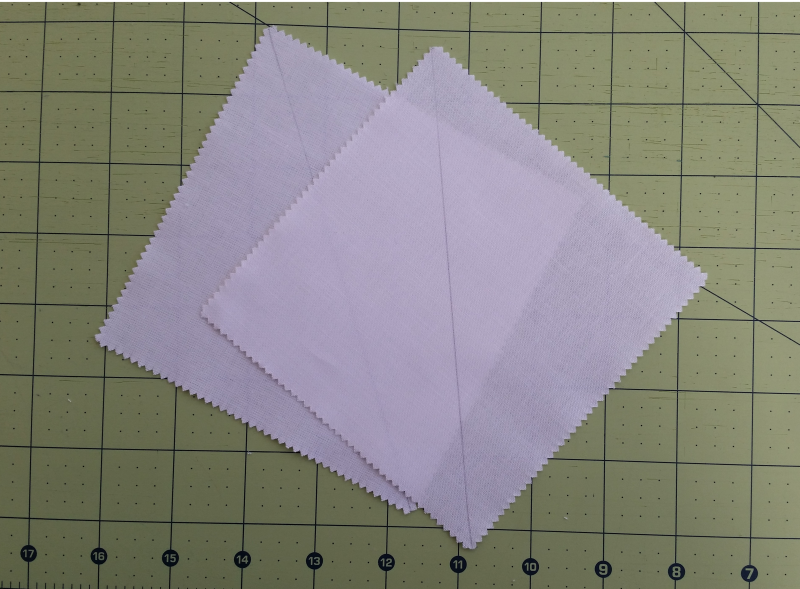 Use 1 half square triangle, 1 four patch, and 2 4 1/2″ white squares to make each individual block. 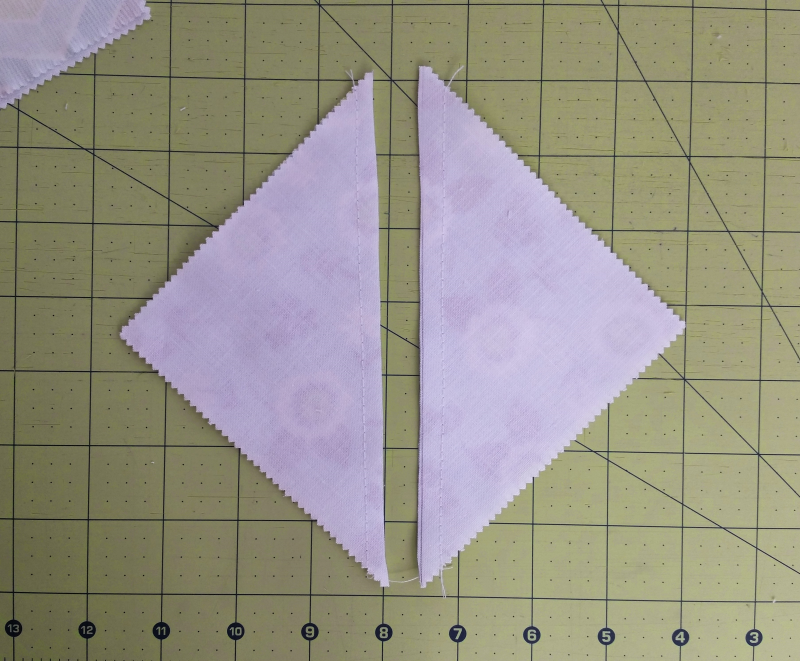 Lay out as pictured below and sew the pieces together as you would a four patch. 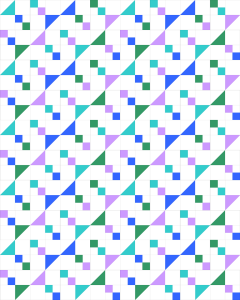 Make 80 blocks. Lay out and sew your blocks into 10 rows of 8 blocks. This block is simple but so versatile! 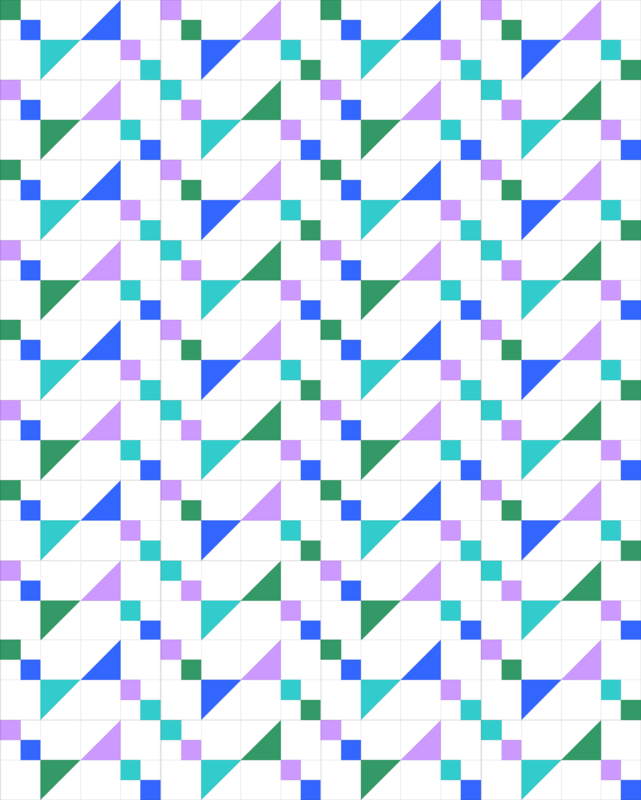 I tried out a number of layouts before I settled on the one that made me want to call this quilt Pixie Sticks. 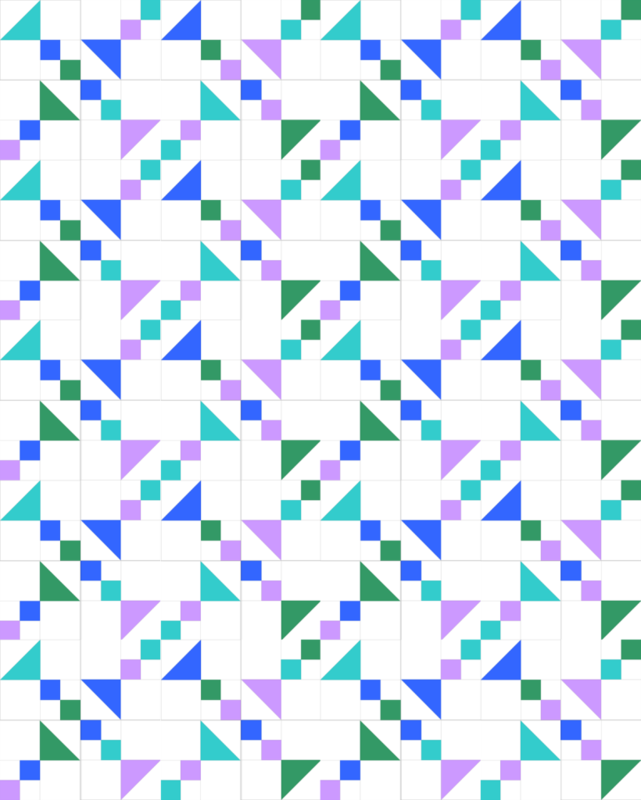 A 64″ x 80″ Pixie Sticks quilt! I am so happy with how mine turned out, and I hope you love yours, too! 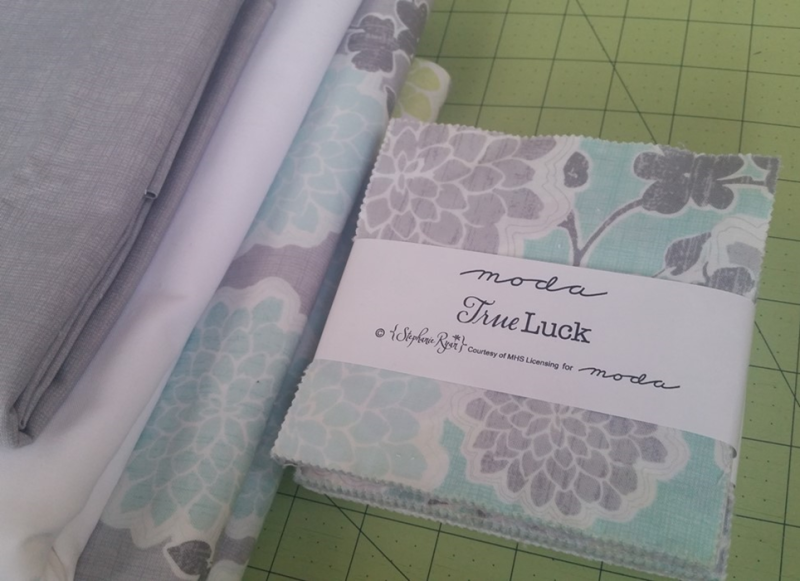 This entry was posted in Charm Pack, Easy, Quilt and tagged Honey Bunny and Doll, Stephanie Ryan, True Luck. I love this and will be making it VERY soon! Thank you! What a fun quilt Amanda! 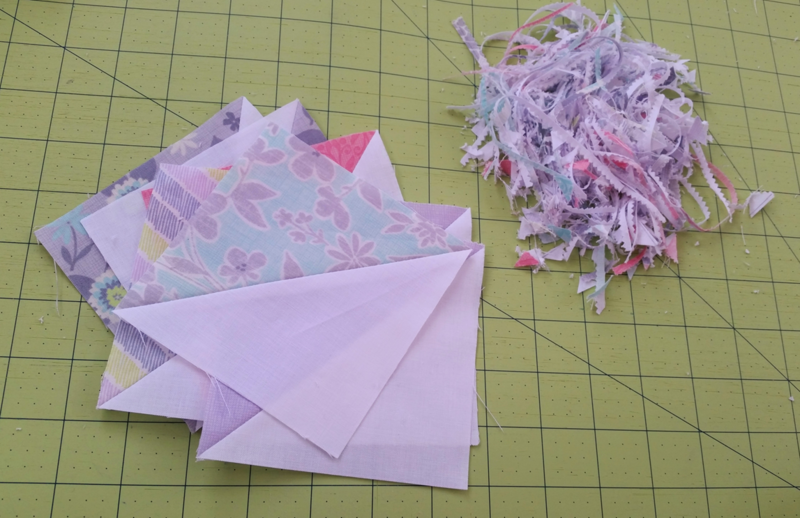 It’s amazing how endless the possibilities are with our favorite staple quilt blocks. I love this quilt. Thank you so much for sharing. I can’t wait to get started. You did a beautiful job!! Love the colors!! 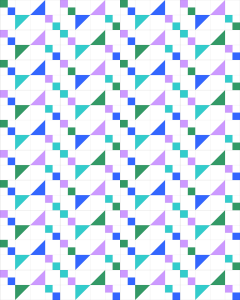 Love this pattern and the farbics!!! I am going to bookmark this for sure! Very nice, and beautiful quilting, too! 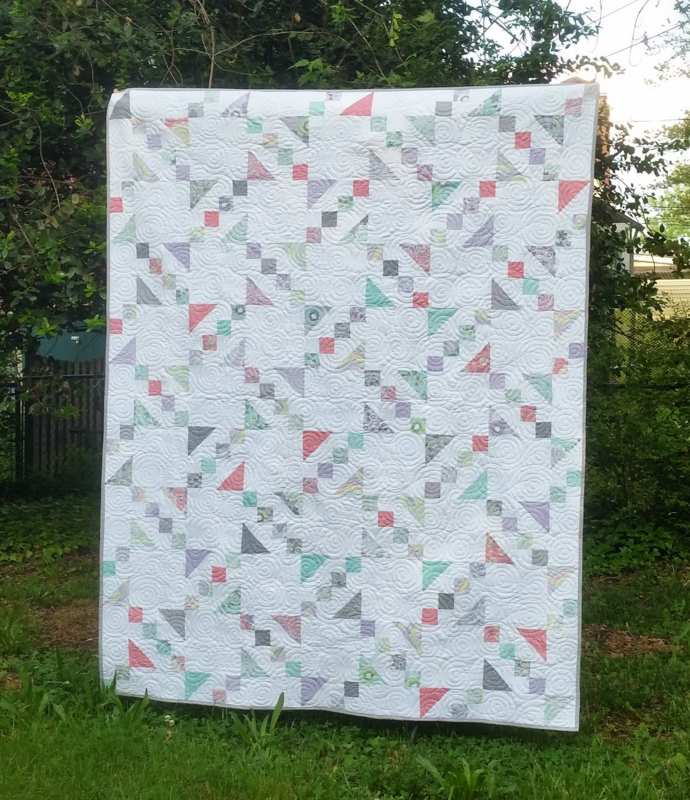 Such a fresh, pretty quilt! I’m thinking of making the blocks half the size for a little quilt for my niece. Wouldn’t it be pretty in pink and yellow? Maybe I missed this, but where does it say to cut the squares for the alternate plain block? I printed the pattern and it didn’t show the block lines. 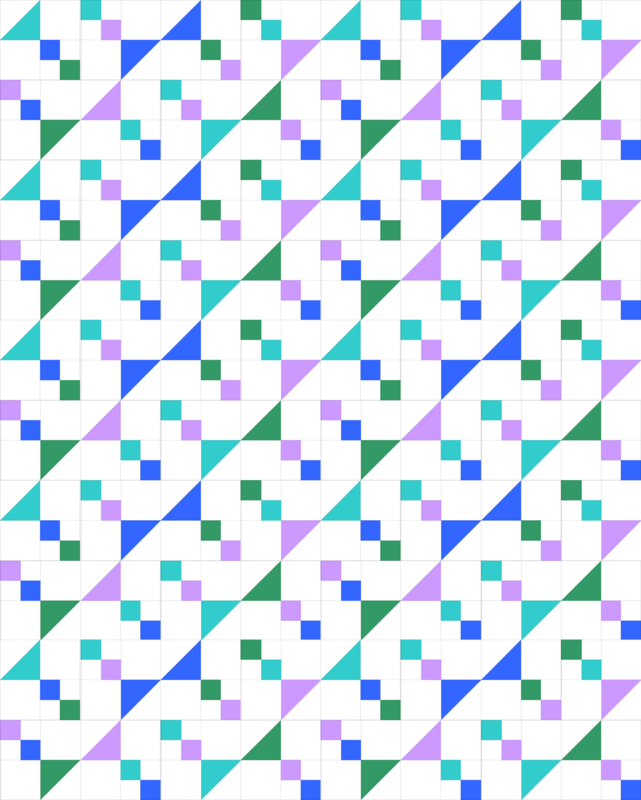 I see how what looks like alternate plain blocks are made. Hi Joan! 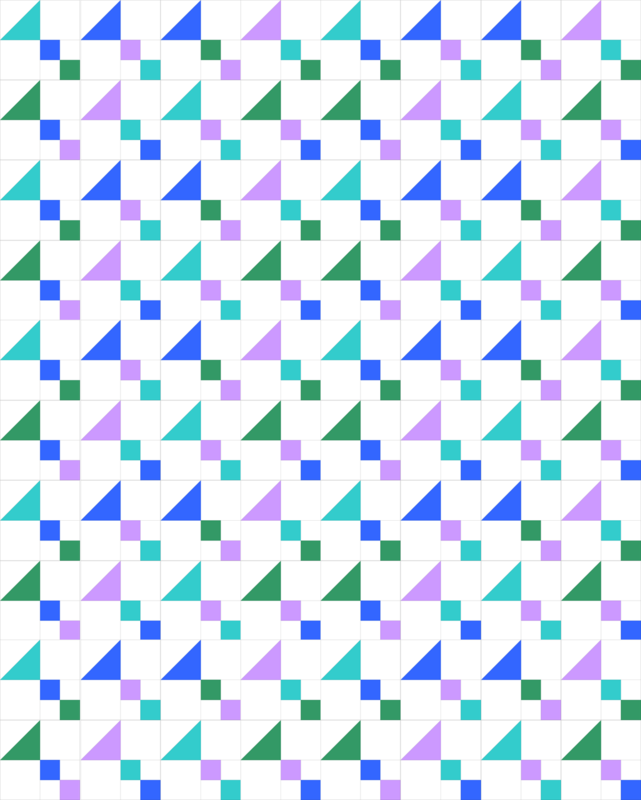 What appears to be plain white blocks in her final layout is actually the intersection of 4 blocks. You can see this a bit more clearly in the illustration of the layout rather than the photo.